How do I change the mouse CPI? The mouse CPI can be changed using the OP software. 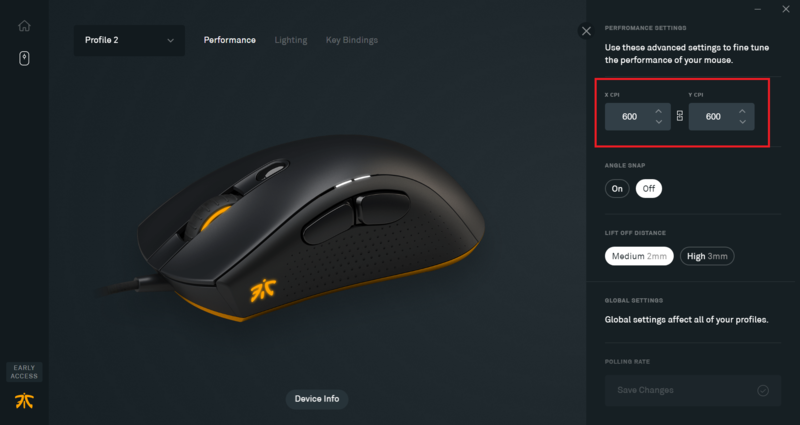 Under the Performance tab, fine-tune the CPI of your mice. By default the X and Y CPI are linked.